Le Tour – the world’s greatest cycling race – is coming to Yorkshire next year. On July 5th The Grand Départ starts in Leeds and covers 390km over 2 days. Eric Hawthorn, Managing Director, Paul Trigg, Global Operations Director and Anthony Chadwick, Sales Director attended a stage of this year’s Tour in Nice. 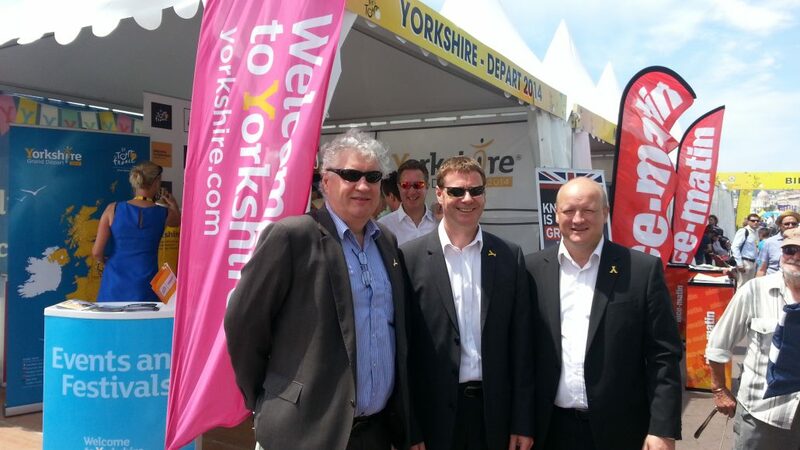 As guests of Welcome to Yorkshire and UKTI the team were on a mission to soak up the atmosphere, experience the scale of the event and generate ideas on how to take full advantage when the Tour visits Yorkshire.